Your hearing is a super sense. Treat your ears to ‘sound’ hearing … and your body to motivating music for improved performance. Here is an input/output about nasty noise and super sound. you move fast and with ease, give it a go. that is a sound and healthy choice. Sound is mechanical waves oscillating from the source, eg. the speaker. Sound or environmental noise is measured by sound level meters using the unit, dB(A). 25 dB(A) is quiet, like a house in the night, speaking is 50-60 dB(A), in the car the noise level is 70-90 dB(A) and an engine running is about 100-120 dB(A). Sound at a volume above 75 dB delivered during exercise, when blood pressure in the ear canal is elevated, can cause minor temporary hearing loss (Alessio & Hutchinson, 1991). Hearing loss results from exposure to sound levels at or above 85 dbB(A) for extended periods of time. Pain level is around 120 dB(A). Too loud noise, even for a very short time, may result in tinnitus, an incurable constant ringing to the ears; the perception of sound in the ear without corresponding external sound. Too loud and too much noise also result in hearing loss. 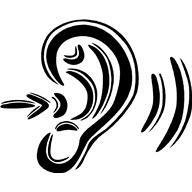 Hearing loss happens gradually over time without you noticing it; therefore protect your ears. Music can even improve performance via your feelings; you feel more energy, less exertion and fatigue. “Music has the potential to elicit a small but significant effect on performance” (Karageorghis, Terry, 1997). Music is ideal for working out. “Scientific inquiry has revealed five key ways in which music can influence preparation and competitive performances: dissociation, arousal regulation, synchronization, acquisition of motor skills, and attainment of flow” (Karageorghis, Priest, 2008). Read more. Click on this link Music in Sport and Exercise. Previous PostPrevious Look See! Top Performance Tip! Next PostNext Sniff, sniff! Air, Energy and Life!